Write three pages of a manuscript every day, day after day, year after year, whether those pages are good or bad. After you write them, be aware of how good they were. That’s it. The good news is that anybody can do this. In the end, it’s all perspiration and no inspiration. Not everybody can write good pages on any given day, but anybody can write bad pages. Go try it. You’ll succeed. As long as you have the ability to step back at some point and identify the bad pages, you’ll be fine. After all, you’ll be writing three more pages the next day, so you can just re-write them then. The study of the craft, such as what we do on this blog, can speed up that process, but in the end, no matter how much you do or don’t educate yourself, if you just keep writing, you’ll inevitably come up with a better solution through trial and error, like those monkeys that eventually write Shakespeare. So wow, right? Problem solved. But if anyone can do it, why don’t they? Two demons get in the way: laziness and self-esteem. Laziness is the obvious problem: it’s hard to make yourself write three pages everyday. Writing is lonely, isolated work with no instantaneous reward system. So we come up with a million excuses not to write every day: “I’ll wait for inspiration,” or, “I’d rather plan ahead for what I’m going to write later, instead of writing actual pages today.” But these are evil temptations. The best way to ensure that you’ll write something good tomorrow is to write something bad today, and only pages are pages, because pre-writing isn’t the same thing as writing. You have to write actual pages everyday, period. Self-esteem is the more hidden danger. It can sabotage you in one of two ways: One risk is that you’ll keep writing and writing without knowing or caring that your work isn’t good enough. If you just do the first of the above steps without the second, all those years of work will be in vain. Publishers get unreadable thousand-word manuscripts in the mail every day. It’s tragic. You have to be your own toughest critic. But self-esteem is more likely to wreck you before you get off the ground. As hard as it is to write good pages, it’s even harder to write bad pages, because your self-esteem gets in the way. Writing good pages makes you feel good, and you want to keep doing it. By the same token, writing bad pages makes you feel bad, and you desperately want to stop. That is where 99.99% of writers wreck themselves. They’re unwilling to be bad, and feel bad about it, until they can become better. 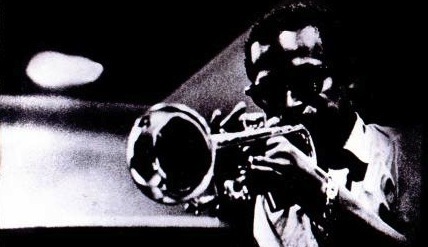 They’re unwilling to be like Miles. If you can master the art of working every day even though it often makes you feel bad, then you’ll make it in this business. Just try it. Similar advice about art is to draw every day. I actually got this very practical advice while at pretentious art school, and yet it's been so hard to follow. The downside to a graphic novel is that I get too wrapped up in the story and forget the drawing, or else the opposite happens. Thanks for this reminder! "Anything worth doing is worth doing poorly."